As many of you already know, my thesis contributes to a large-scale research project investigating the changing socio-economic conditions from the Islamic to the Norman periods in Sicily during the Middle Ages. 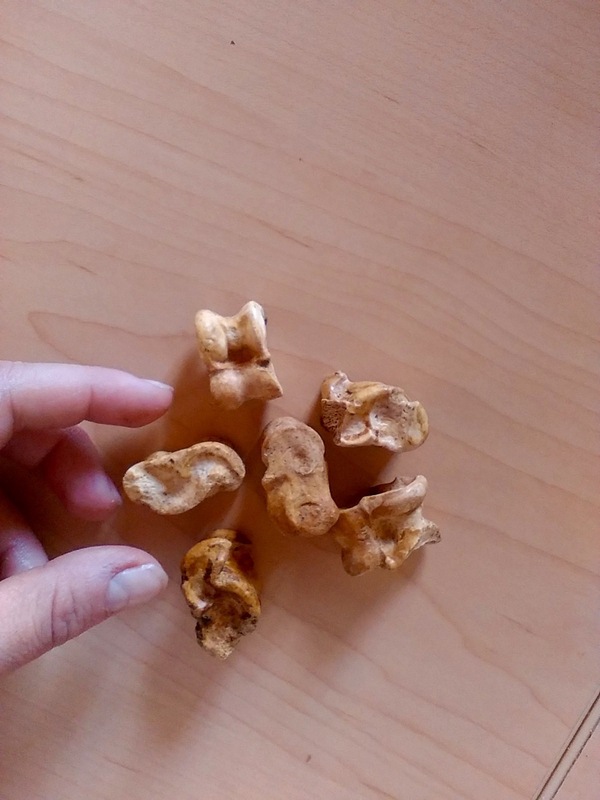 More in detail, the main goal of my research is to analyse similarities and differences in food consumption, dietary taboos and animal husbandry practices between Muslims and Christians by looking at animal bones from different archaeological sites. Despite all the efforts made in order to have the material shipped to Sheffield, this has been inhibited by a number of factors; several were the problems, most of them of bureaucratic nature, which did not allow the shipment of archaeological material outside the island. For that reason, my supervisors and me decided that a temporary stay in Palermo (from April until November 2015) could certainly represent the best solution and the most profitable way to start the data collection. Since this is my (already!) second month in Sicily, I would like to update all the readers of our blog on all the problems and the progresses encountered during my research…. (I am still facing many problems also now!). The first issue that I tackled (and that, to some extent, I am still facing) during the first weeks in Sicily, has been the sorting out of the material. Indeed, in most of the cases faunal remains had not been separated from other archaeological materials (pottery, glass, metal etc.) and they were located in the same boxes… only in rare occasions animal bones had been put in plastic bags. Of course it took me weeks to solve this issue but at the end of the process, despite a bit of frustration, I felt proud of my work! After that, I made a request to the Soprintendenza dei Beni Archeologici of Palermo in order to be able to move the material from the storage to the laboratory, which is located close to a beautiful Norman church in the city centre. This relocation of the assemblages was essential since the faunal remains had to be washed and the laboratory had the appropriate equipment and enough space for such activity. 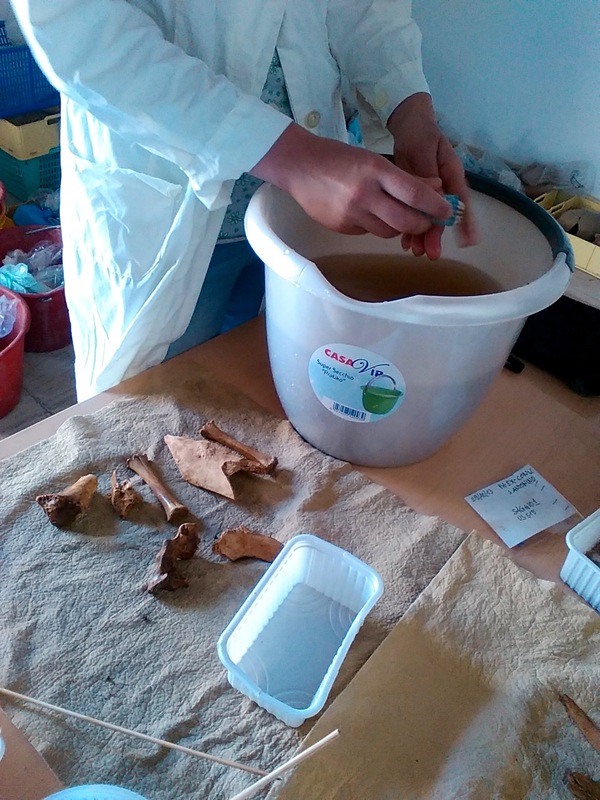 After all the material had been moved, I started washing bones…According to the size of the assemblage, this process can take a considerable amount of time. Bones have been cleaned with water and with the use of toothbrushes. From time to time, considering the fragility of the bone, dry cleaning was preferred. Fortunately, from time to time some people helped me and I was able to speed up the task. The good news is that in approximately one month and half two faunal assemblages have been cleaned and now… they are ready for recording! Right now, I am in the process of recording the faunal material from a rescue excavation in Corso dei Mille, Palermo. The faunal assemblage looks very interesting and the grade of preservation of the bones is quite high. Apart from the main domestic animal, I have found several vertebrae of fish… since I am not an expert of these animals, what I am going to do is looking for advice from some colleagues who specialised in fish remains and who are currently working in the Zooarchaeology laboratory in Sheffield. This reminds me that the key of success in our research field (and not only) is collaboration among people. Without this, all the benefits of a fruitful exchange of information and knowledge would be missed. Apart from all the problems and the progresses of my research, I think it is definitely worth talking about Palermo and its main attractions, historical and not. Everyone should have an idea of what this magic city can offer. For this, just wait a few days… the second part will be posted soon!